Canada Mortgage and Housing Corp. says the pace of housing starts picked up in November, pushing the six-month trend to the highest level in nearly a decade. The Ottawa-based Crown corporation says construction of multiple-unit projects in Toronto has been a driving force behind the trend. Toronto’s CityPlace, viewed from Canoe Landing Park. Image via Panoramio. In November, the seasonally adjusted annualized rate of housing starts across Canada was 252,184 units — up from 222,695 units in October. 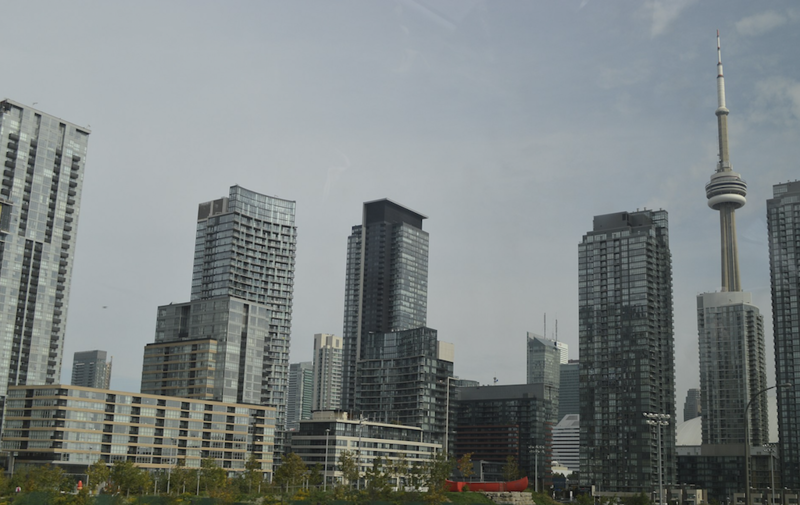 Multiple-unit urban starts accounted for 175,016 units on a seasonally adjusted basis, up 16.9 per cent, while single-detached urban starts were up 7.5 per cent to 60,396 units and rural starts were estimated at 16,772. CMHC’s six-month national housing starts trend rose to 226,270 units in November, from 216,642 units in October. Ontario’s seasonally adjusted rate rose to 95,741 units in November from 57,916 units of all types in October. Bob Dugan, CMHC’s chief economist, said the November trend was heavily influenced by construction of multiple units in Toronto. BMO chief economist Doug Porter estimated that Ontario is on pace for 82,000 starts in 2017, which he said would be the best level since 2004. There were also month-over-month increases in the Atlantic and Prairies regions but declines in Quebec and British Columbia, but Porter was also generally upbeat in his assessment of even the laggard provinces. “Activity in British Columbia pulled back in November, but the province is still on pace for the strongest year since 1993,” Porter wrote in a note to clients.